Pikachu and Ash. . HD Wallpaper and background images in the Pokémon club tagged: pokémon. This Pokémon wallpaper contains anime, bande dessinée, manga, and dessin animé. 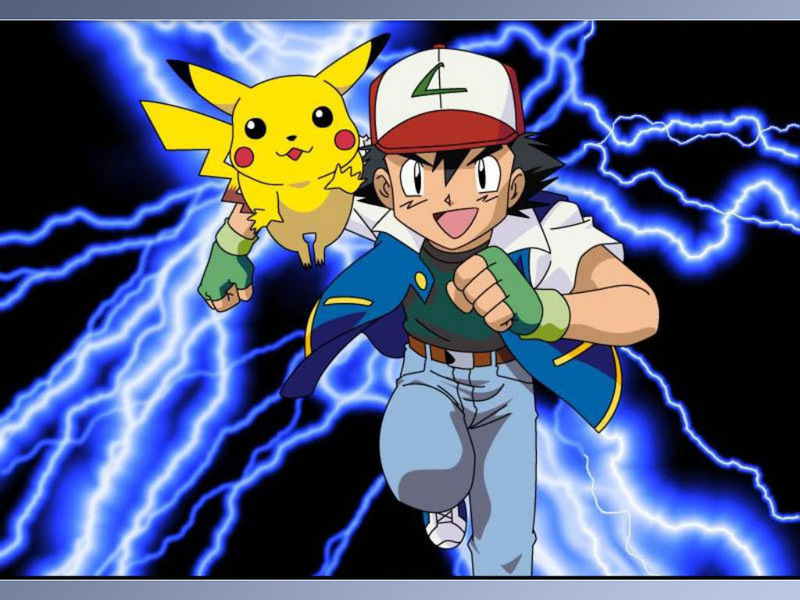 how come all those lightnings didn't even touch Ash? That's awesome! Very cool! Super nice!